Expats. I really relate to 'em. Having grown up, gone to school and studied in Germany, I've lived more than half my life abroad, first in the US, then Cyprus, now Switzerland. "Let me introduce myself. I’m Rob Smit, born in The Netherlands in 1965. I've now lived in Taiwan for more than 15 years. 2 years ago I started the Cyenne Audio company to make DACs as I felt the high-end was getting very expensive and out of reach of normal people. I started to design products that have good sound quality without costing a fortune. Another point was to counter the wasteful trend where products have short live spans and are basically unrepairable if they fail. Now my company has several DACs in mass production. 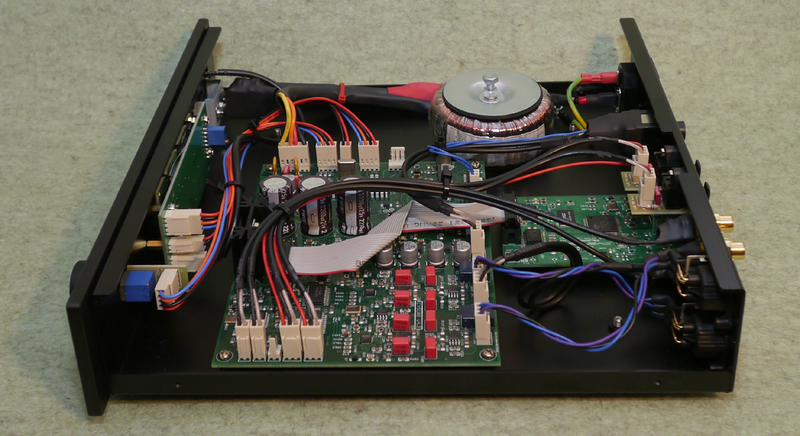 We also build custom amplifiers to order for our local market. At first I focused on the Taiwanese market but to have better economy of scale, I’m expanding into China and Europe. I have favourable reviews from my dealers, customers and local Chinese language magazines. But as an author from your site pointed out, it seems that reviews published in Asia carry less weight abroad than reviews in English language publications. "I currently have 3 DAC models. The €645 CY-3100 was designed to sound great with CD material. It uses a Wolfson chip set and has driver-less USB to work on most computers and music servers without any hassle. The €799 CY-3100SE is similar but adds 24/192 support over USB because some customers felt that 24/96 was insufficient. This model obviously does require drivers with Windows. The CY-3100 can be upgraded to SE status as an aftermarket option. The €1'399 CY-5100dsd is our top model with 384kHz PCM and DSD256 support over USB 2.0. This one uses an ESS chip set and in combination with software like JRiver, digital filtering can be done by computer which is far more powerful than most filters inside a DAC chip. All products from Cyenne Audio share a focus on sound quality; very solid construction, no plastic parts, long life and are easy to repair; are fun-to-use intelligent designs which concentrate on the music not equipment operation; are made in Taiwan not China and designed by European engineers; pursue the less-is-more approach to avoid excessive circuit complexity with lots of LEDs and buttons; sport internal linear power supplies, not switching adaptors; and pursue a rational use of better parts for affordable pricing. I read a bit more on other DAC reviews on your site and it seems that the focus is on the high-end of the market, so perhaps the CY-5100 is most interesting to read about for your visitors." When I agreed, Rob merely added that "regarding any comparisons, I do think it’s important to compare us with expensive brands. The core idea behind our brand is to offer high-end like performance for a relatively affordable price. In order to do that, we use a minimalist design that still offers the performance and the user’s emotional listening experience which is normally associated with high-performance audio. I hope you like the results of our effort!" Rather than shy away from being compared, Rob asked me to bring on the big guns. That was rare sporting spirit. Naturally I was ready, my virtual pen twitching and itching. Downloading the owner's manual PDF, I learnt that if you leave a headphone plugged into the rear-mounted port but want to override the main output's auto mute—perhaps you've got the deck installed in a rack and its back is hard to reach—you press 'next' on the remote. Voilà, your speakers are back in biz. That 3Vrms 6.3mm port and the XLR outputs incidentally are the main upgrades which turned the earlier CY-5100dsd into the MkII version as reviewed.